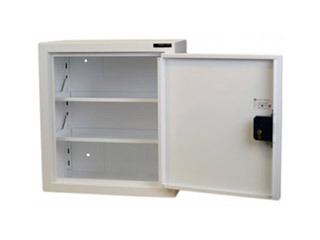 We have designed this cabinet specifically to store Controlled Drugs. The cabinet is constructed from 2mm thick steel. This provides added security compared to our competitors. Two adjustable internal shelves, no door shelves. Fully BS2881:1989 level one & The misuse of Drugs (safe custody) regulations 1973/5 compliant.